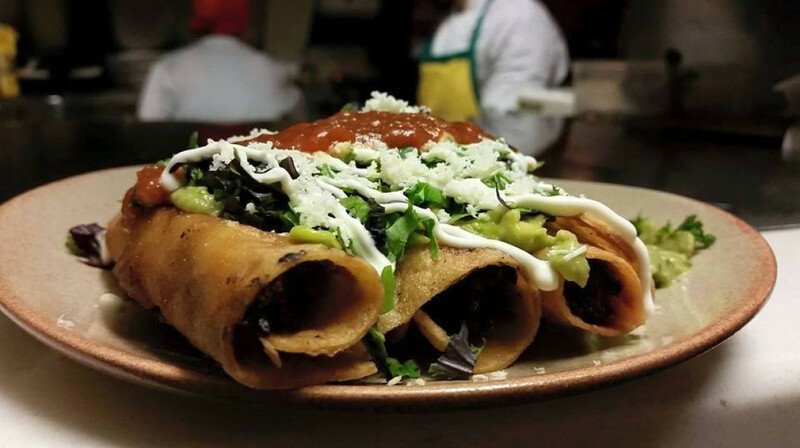 Discover authentic Latin American cuisine made by talented and professional Latin American chefs. 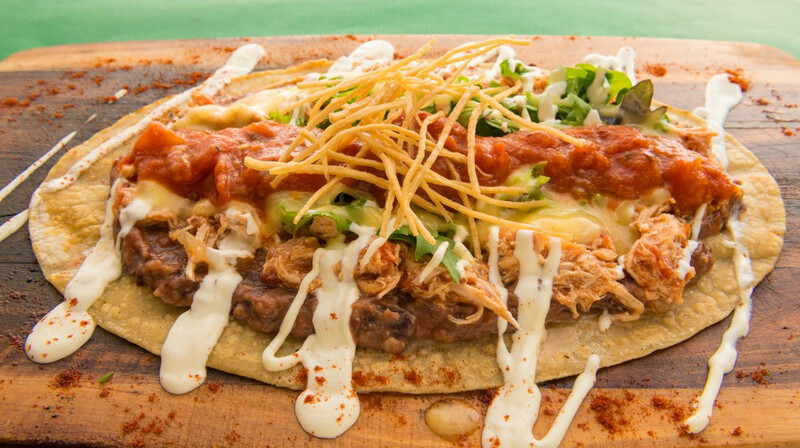 A culinary tour through Latin America, Besos Latinos showcases traditional cuisine from pre-Hispanic times through to more modern street food favourites. 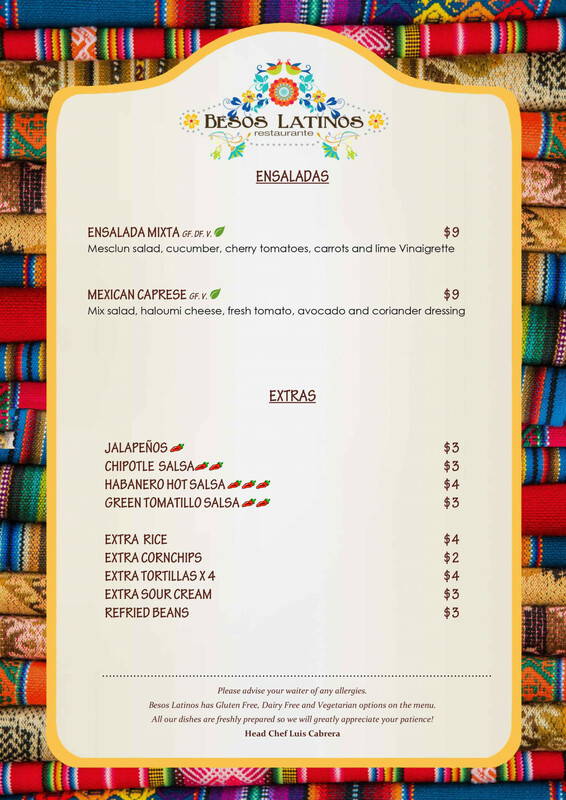 Designed by Mexican Artist Cecilia Mijangos partner to award-winning Mexican chef Luis Cabrera, the menu features Peruvian ceviche, Chilean Empanadas and a variety of South Amerian and Mexican dishes. 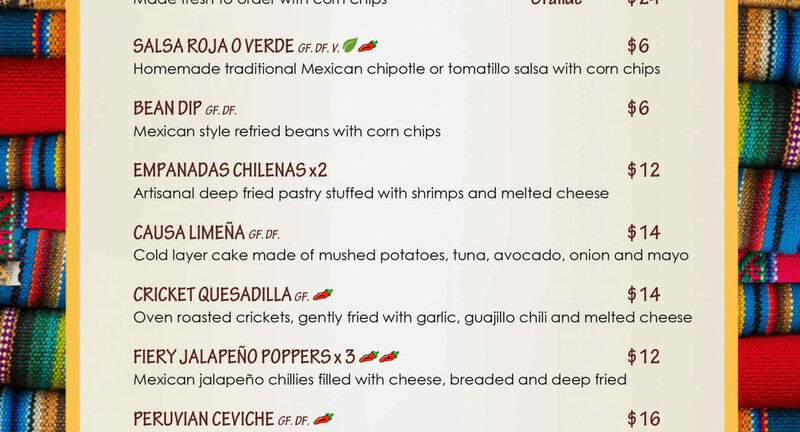 Those looking for something truly authentic and different should try the cricket quesadillas (made with roasted crickets!) It’s all made using the freshest and best produce available. 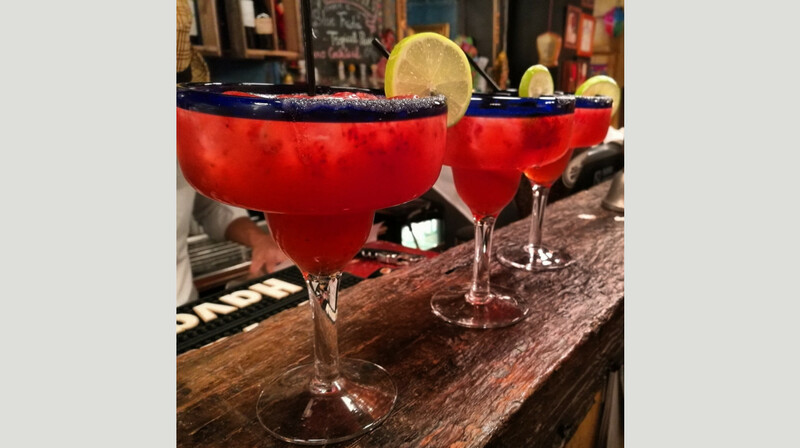 Complement your dinner with sassy Latin cocktails and a selection of Latin American beers, wines and of course, lashings of tequila. 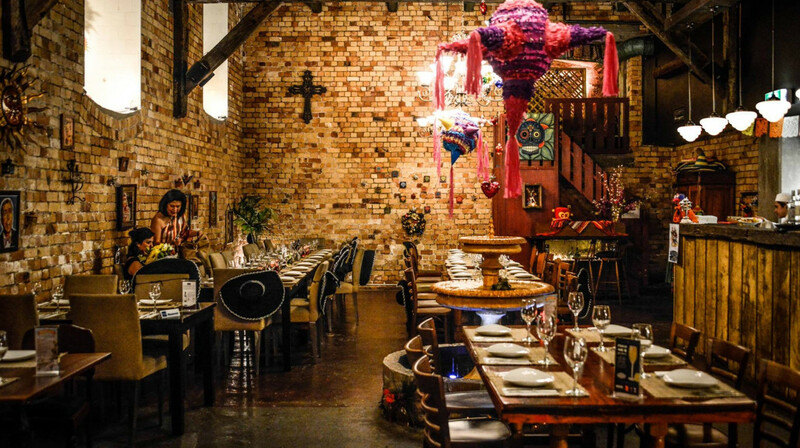 Enjoy this casual and colourful atmosphere and a fiesta of flavours inside one of Auckland’s most beautiful heritage buildings. Friendly service and tasty food. Recommended! Lovely food in great surroundings. Would happily return. Very busy restaurant, so quite loud. Food and service were ok. Molten cheese dip was the best thing we ordered. First time we had South American food and drinks and it was a fabulous experience. Food was great but when we tried to order something on the menu, they said that they did not have it. That is the only bad thing for the night. Everything else was really good. Will be back. The whole experience from start to finish was incredible. Both my partner and myself were pleasantly surprised with the size of the cocktails and how great value for money they were. The food was so tasty and delicious and was served very quickly. We will definitely making a return visit. First time user of First Table. Great start with Besos Latinos. Family enjoyed the food. Atmosphere great. Our order arrived promptly with no issues. Will be back. Had a great meal there with some friends. Excellent wine as well. Very enjoyable. 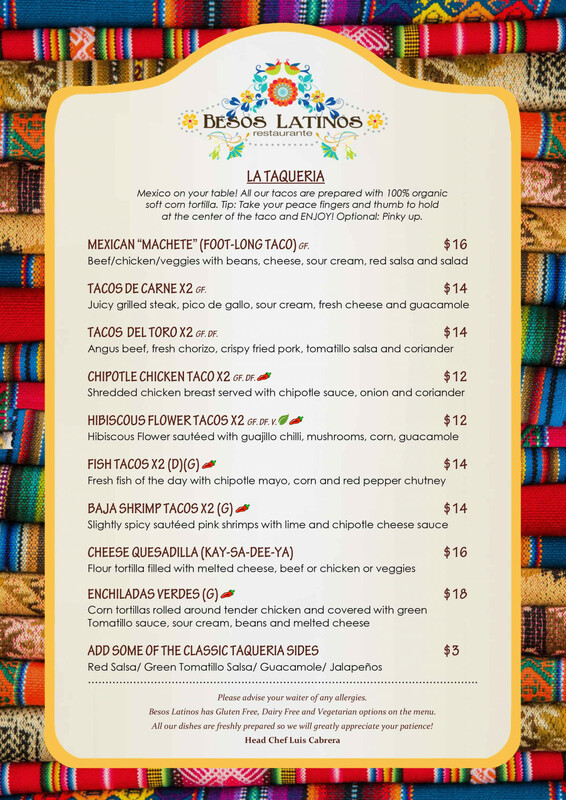 The hospitality at Besos Latinos is fantastic; everyone is friendly and attentive. The food was tasty and good portions. Food was OK but not outstanding. Waiter spoke too softly...everyone was struggling to hear him...not just us. Enjoyed trying somewhere new though. Thanks. Went with my partner and two of our close friends, we had a great time - the margaritas were nice and strong and food was excellent! 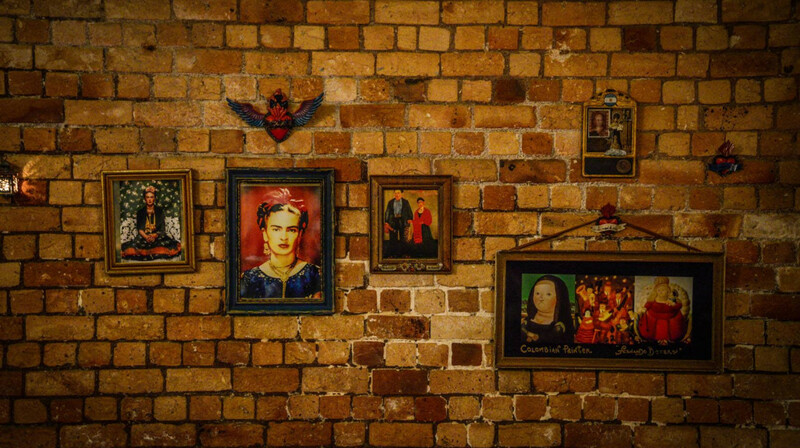 The amazing decor and wonderful service contributed to a great atmosphere to catch up with friends! Very vibey place! 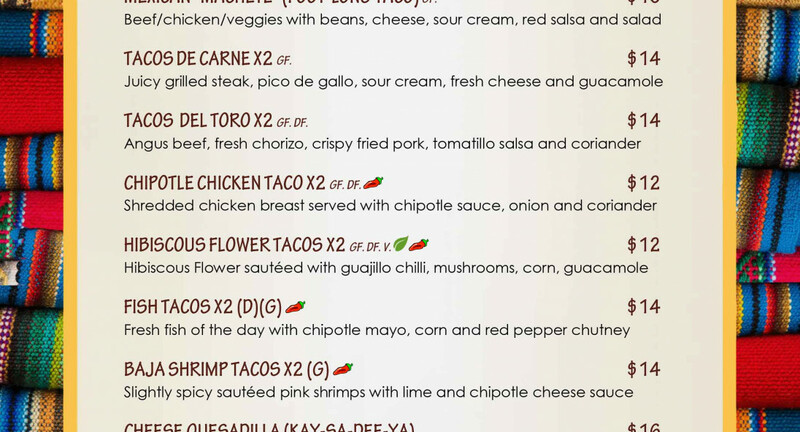 I was blown away by the size of the tacos - very generous portions compared to other places. Delicious meal and great service! Cannot beat the arepas and tacos!! Food was lovely - large range of choice on the menu. Average portions. Waiter was did his job but voice was too quiet, didn't smile and made no additional effort to connect with his customers (other than to ask if we were ready to order, when the menus had not yet been opened!). On paying, the waiter tried to charge full price (although I had said I was 'first table' on arrival). When I saw the amount on the eftpos, I thought thats not right. He then asked to see the voucher. I was put out by that - you should ask for the voucher upfront (the booking would have said first table, and I said first table on arrival). 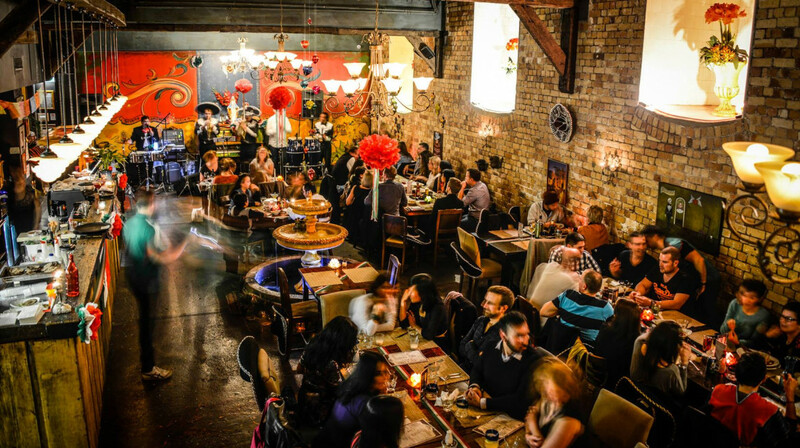 Comment: Elliot stables was full at 7pm when we left, but Besos Latinos was empty. 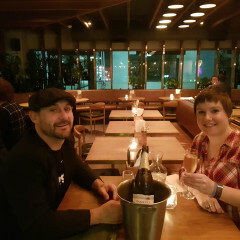 Had a great night with my partner and our friend, ordering as we went, to ensure we tasted a few different dishes each, great food, nice wine, servers could have been more attentive, but overall a great time. 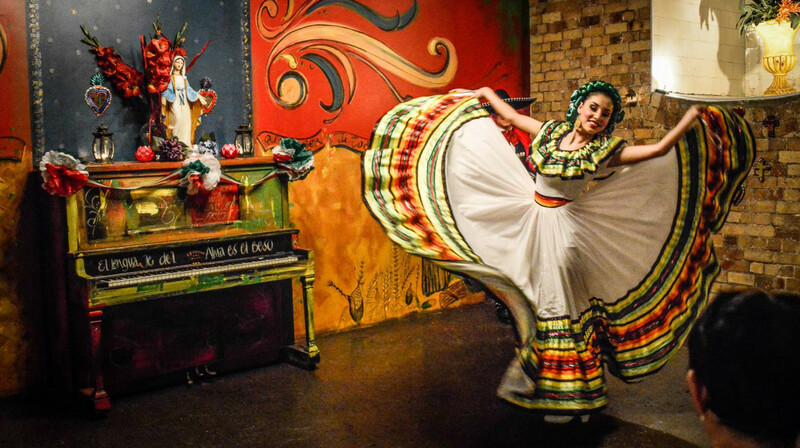 We had an enjoyable, if unremarkable, experience at Besos Latinos. 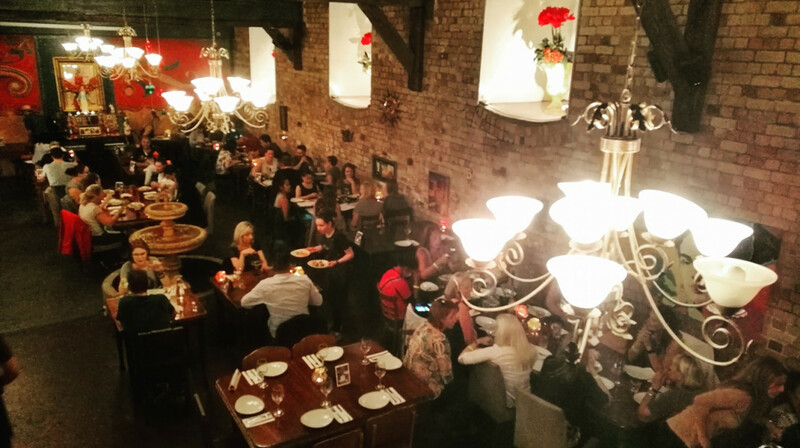 Everything was absolutely ok. We enjoyed our meals, the service was friendly & attentive yet not overbearing, the setting comfortable enough and location ideal as we were going to a film afterwards. It was easy & quick - all that we needed the evening we dined. The tamarind margarita was tasty too! Probably a fun place for a crowd. We'd go back for a quick, tasty meal. Hidden gem, we will definitely be back. The food, the atmosphere and the service were great. You would not know it was there but once you have been if you love good food you will return. Great experience, highly recommend using First Table and going to Besos Latinos which is a fantastic restaurant! Average/borderline lazy quality of preparation. Not the best quality of ingredients either. Great ambience though. The best margaritas in town, and even though they're not the cheapest I'd still happily hit them up for drinks. Their bartender REALLY knows his stuff! As for the dinner, everything was as described and mega flavorful. 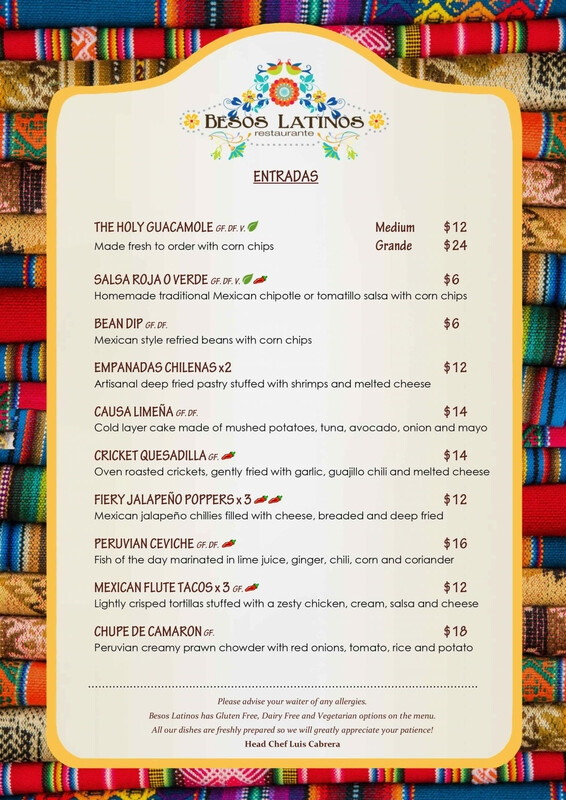 We ordered the Molten cheese dip for entree and Pollo Diabla + Green Go quesadillas for the mains. Delicious. 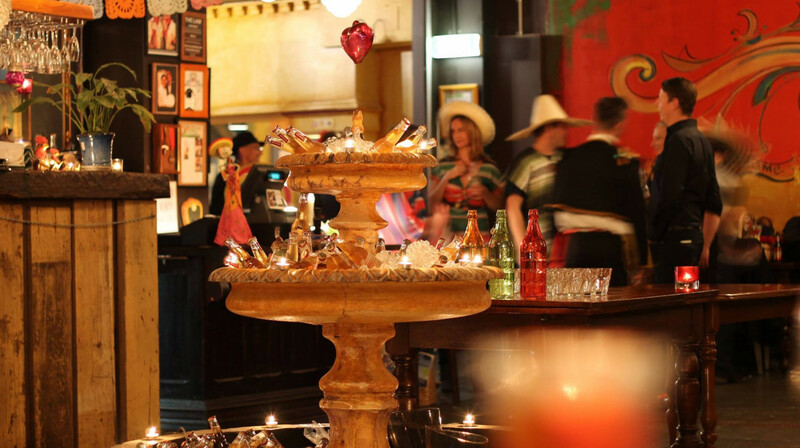 Happy to recommend popping into Besos Latinos for a date night or a party of more. 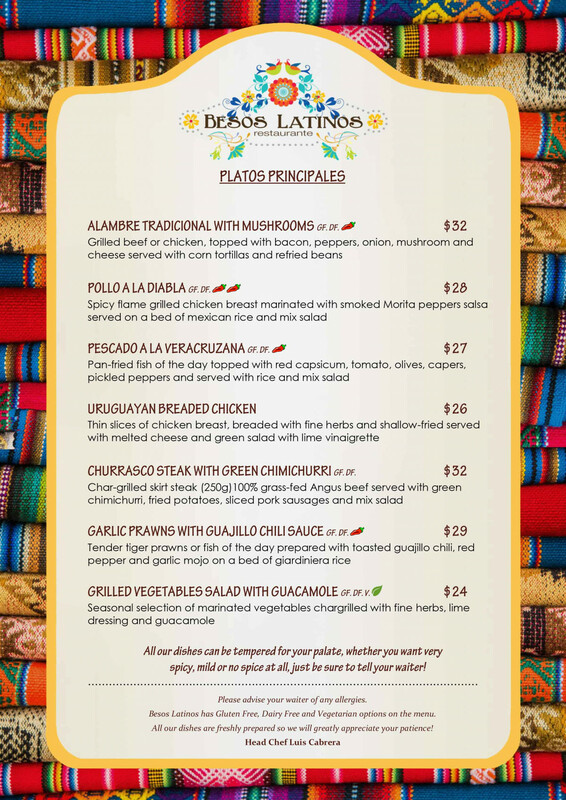 Had a great dining experience at Besos Latinos for my birthday on Wednesday, the menu is so diverse and the food it’s so delicious it really is hard to make a decision! Service was great and friendly and we were looked after very well. I do appreciate our waiter gave us heads up about an unavailable dish on the menu before we ordered our food. To me, there’s nothing worse than choosing a dish that turns out you won’t be able to enjoy! 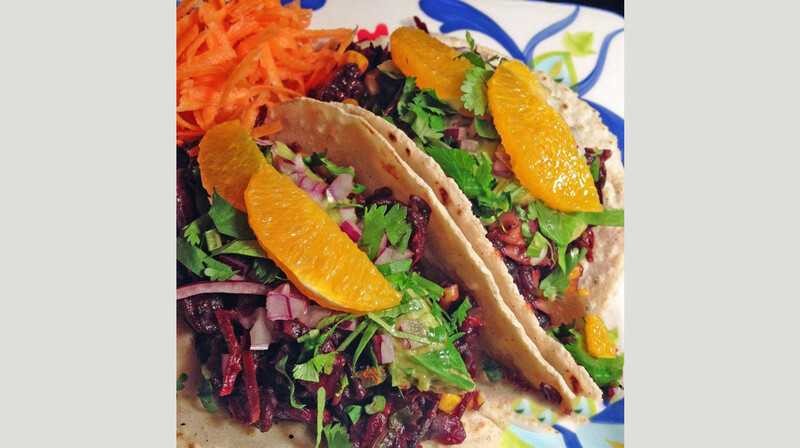 Great food, great service - if you haven’t tried Besos Latinos you really are missing out on beautiful Latin American food. Very attentive, very welcoming and amazing food. We will definitely be back and highly reccomend a visit, you won’t be dissapointed! The don’t have a children’s menu but they were more than happy to accommodate and prepare what ever we asked for. We loved it, thank you for making our Christmas Eve a happy one! Excellent place for to go with your family and friends.... Was Awesome !!! Thanks for everything... GRACIAS ! 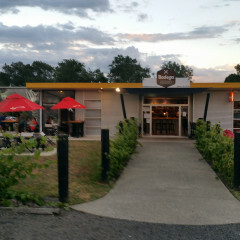 Overall great place for a datenight or fun with friends. Fish tacos are MUST TRY-i ate 2 portions. Steak taco was also very yummy. Cocktails could be improved, sangria was too sweet and margarita didn't have crushed ice. Great service, very tasty food! Perfect location and timing before going to a show. 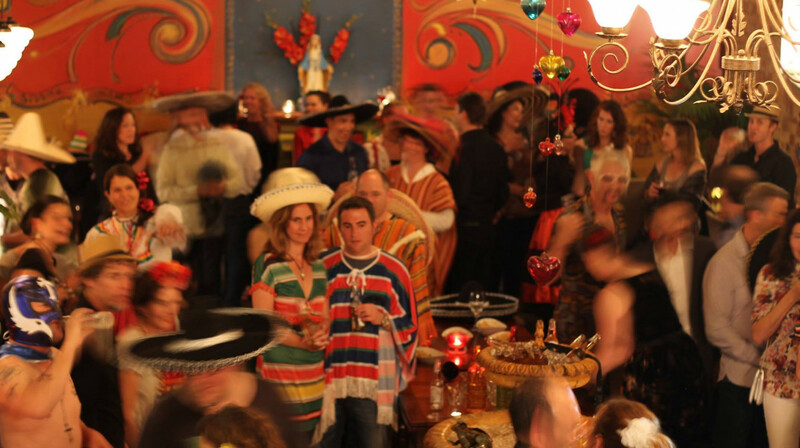 Highly recommend everyone enjoys the experience of Besos Latinos. There were 9 of us including a baby (booked for 4 people, the other 5 paid full price) and we had the most amazing time. 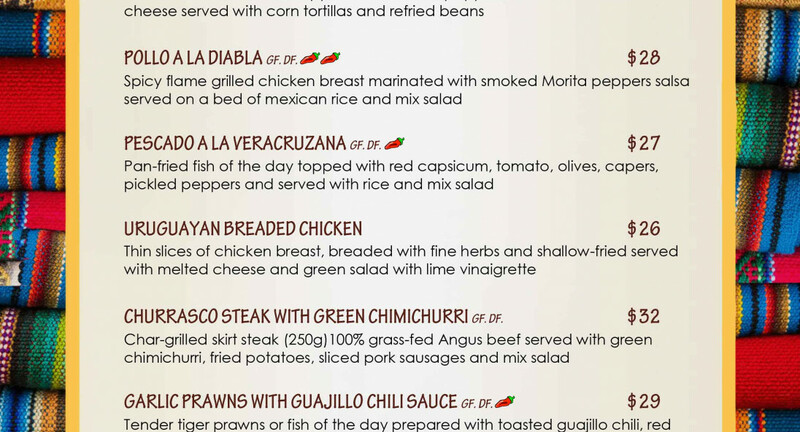 The food was great - I highly recommend the garlic prawns for mains and the nachos for entrees. What made the place outstanding though is the customer service. The crew really knew how to make their guests feel welcome and make sure we have a great time. Great food, great service. My partner had been wanting to have Pisco Sour for a long time and we were so happy to see that on the menu. Great place! We arrived at the restaurant with a table reserved for us after we confirmed our booking. We liked the food and the ambience in the restaurant.We will be back to try other foods on their menu. Delicious food in good portions and great staff!! Fantastic service, fantastic food. Cant wait to go back and try everything else on the menu! Had the cricket quesadilla to experiment - everything tastes good with cheese and sauce! The pollo a la diabla was perfectly cooked and the sauce delicious, my fellow diner enjoyed his Steak with the chimichurri - especially the pork sausages that it came with. 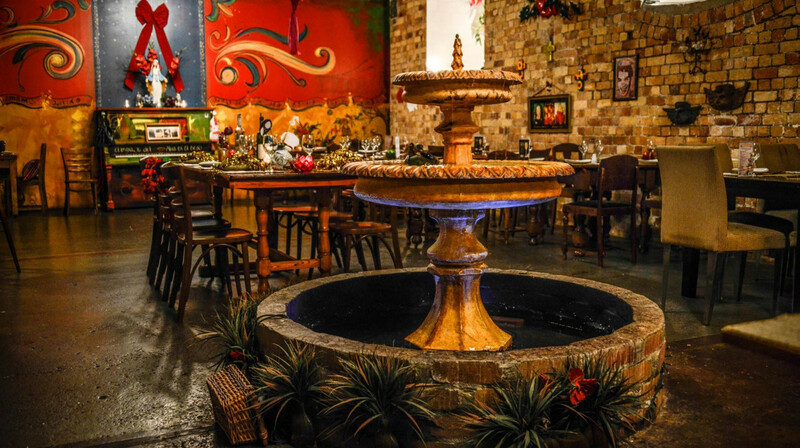 A lovely place to eat, enjoy cocktails and soak in the latin america decor. The atmosphere of this place is awesome! The decor is fantastic and it is an enjoyable place to eat. We started with nachos and they were good (normally places have chips on the bottom with not enough toppings but I was very pleased with the chip-to-topping ratio here) and then each of us ordered a main. The portion sizes were good and the food was also tasty. Beautifully decorated restaurant. 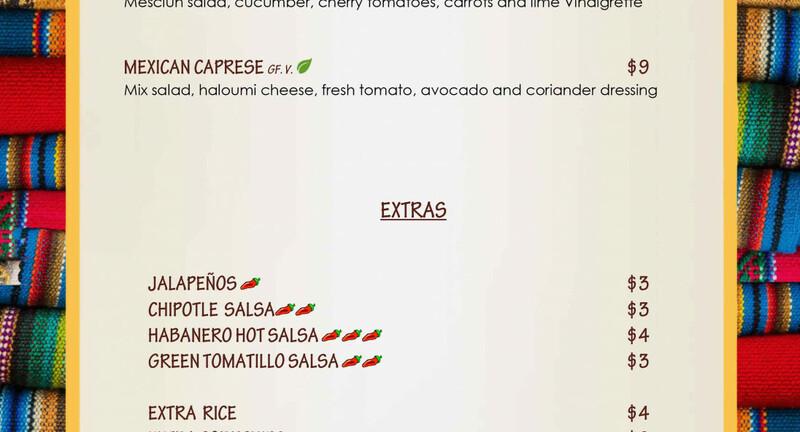 The food is wonderful, as Mexican I can say that the flavours are very authentic, as if I were in Mexico. They were all very attentive and helpful, especially our waiter. We will come back for sure.